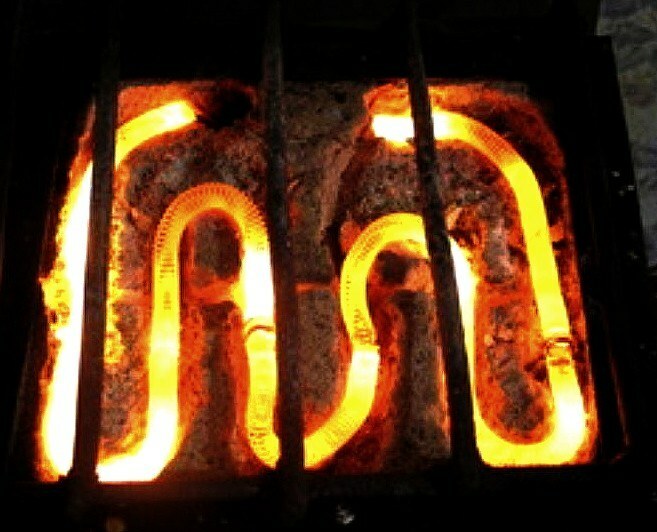 The heating element in kettles, irons, electric stoves use electric spiral. Make it or fehrloi of nichrome wire having a high heat resistance and high electrical resistivity. From the physical properties of wire and size of the spiral depends on the amount of heat released in the conductor. Therefore, before installing the coil in the electric device, it is necessary to calculate its parameters. Spiral, caliper, ruler. You must know the material spiralizatia current I and voltage U at which the work will be a spiral, and what material it is made. Find out what resistance R should be in your spiral. To do this, use Ohm's law and substitute the value of the current I in the circuit and the voltage U at the ends of the spiral to the formula R=U/I. A caliper, measure the wire diameter d in millimeters and translate it to meters by multiplying the resulting value by 0.001. Determine the cross-sectional area of the wire according to the formula: S=PD2/4 in meters squared. π≈3,14. The Handbook will define the resistivity ρ of the material from which made the spiral. ρ must be expressed in Ohm•m. If the value of ρ in the directory given in Ohm•mm2/m, multiply it by 0,000001.For example: the resistivity of copper ρ=0,0175 Ω•mm2/m, the translation in C are ρ=0,0175•0,000001=0,0000000175 Ω•m. The length of the wire way according to the formula: Lₒ=R•S/ρ. Measure the ruler on the spiral of arbitrary length l (for example: l=10cm=0.1 m). Count the number of turns n coming to this length. Determine the pitch of the helix H=l/n or measure it with a caliper. Caliper to determine the outside diameter D of the spiral in meters. Find how many revolutions N can be made of wire length Lₒ: N= Lₒ/(πD+H). The length of the spiral way by the formula: L=Lₒ/N. Electrical resistivity of the material in the handbooks are given most often at a temperature tₒ=20ₒС. By increasing or decreasing the temperature changes the conductor and its resistivity. The magnitude of the changes shows the temperature coefficient of resistance α. If the temperature of the conductor t is different from the reference, then the formula of the length of the wire in item 6 will be the next Lₒ=Rₒ•S/ρ, where Rₒ=R/(α(t-tₒ)+1). The standard voltage in household electric U=220V. Current is limited by fuses in the fuse box, and are, as a rule, I=16A.